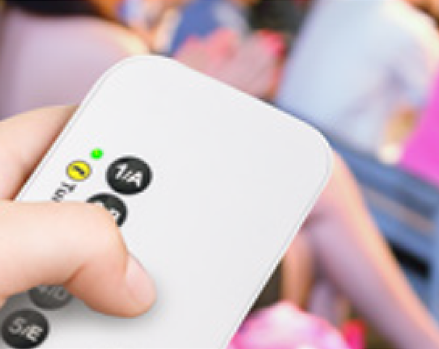 Engage your audience, collect results and try something new with the SE audience response device. Make meetings, conferences and events interactive with this low-cost, single event audience response tool. A response device built for all events. 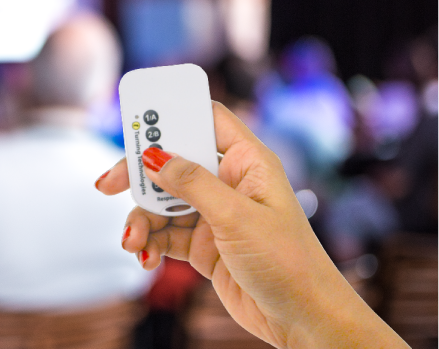 The petite SE response device fits in the palm of your hand for easy transportation and distribution. 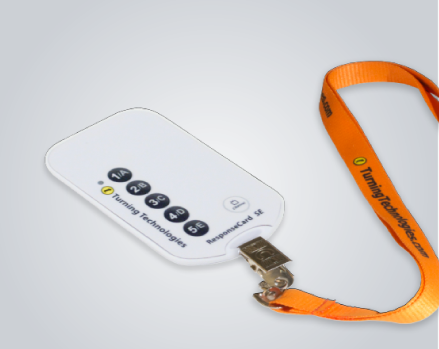 An intuitive device with 5 response keys that support multiple-choice, matching and true/false question types. Receive every response from each individual to understand your whole audience. Designed to showcase your organization! 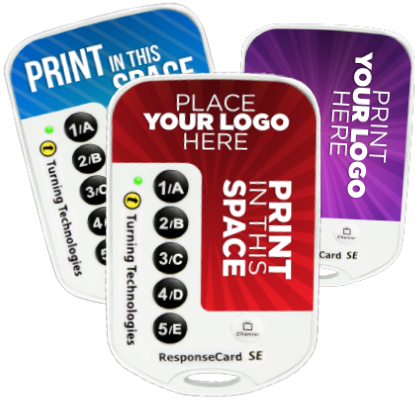 Include a customized label on each SE response device as an additional advertising opportunity. An economical choice makes audience engagement a possibility for all events. Disposable SE features a 10-day battery to eliminate the hassle of collecting and returning. A 200-foot range ensures responses are collected from every participant. In addition, up to 25 different sessions can run at any one time in close proximity without interference.